Fernando Ceron (far right) has been leading the arrival and departure experience at the Loews Hotel since 1989. Through the many years in his role, Fernando has made fantastic impressions with guests visiting the city and staying in the hotel. He has an uncanny ability to remember guests even after many years away from the hotel. He will often pull out a photo of a guest’s child taken many years ago and share some details of what he remembers from their last stay. He truly is an ambassador for the hotel and is continually recognized by guests. This unwavering dedication to his job and the community has not gone unnoticed. Fernando has won just about every Loews recognition during his career including Team Member of the Month 6 times, Team Member of the year, the hotel’s Don Foreman Award as well as the Loews Legend Award. The latter is Loews’ Hotels most prestigious team member recognition. When asked what he likes most about what he does, Fernando is quick to reply it’s about the people, helping guests and team members. It’s about lasting friendships, making people feel welcome and most importantly treating people like family. Fernando strongly believes he has learned these values from his mother in which he is very close to. He often refers to her advice “when you do something for a person, do it from your heart and do not expect something in return”. This family philosophy resonates in his character every day. Has someone in Santa Monica made your day? 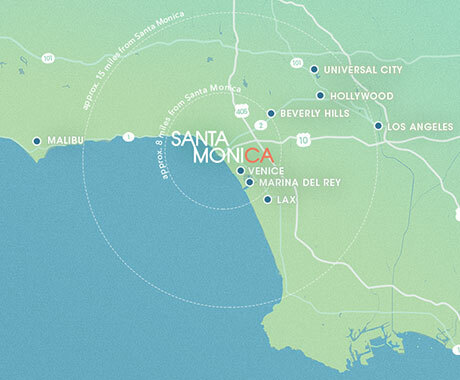 Destination Santa Monica is a proactive, successful, vibrant and desirable location in which to both live and work, and much of its success is credited to the people behind the over 1 billion dollars generated annually from tourism and hospitality revenues and taxes. Santa Monica Travel & Tourism (SMTT) was lucky enough to have an exceptional 23-year employee, Thelma Parks who passed away in January of 2011. We are proud to launch the “Thelma Parks Tourism Spirit Award” to honor exceptional service in the hospitality and tourism industry. The award plays an integral role in encouraging and rewarding excellence, innovation and commitment in the tourism and hospitality industry. Santa Monica businesses, residences and visitors can nominate others through an online form, which will be reviewed and selected by a committee of industry peers, experts and leaders. 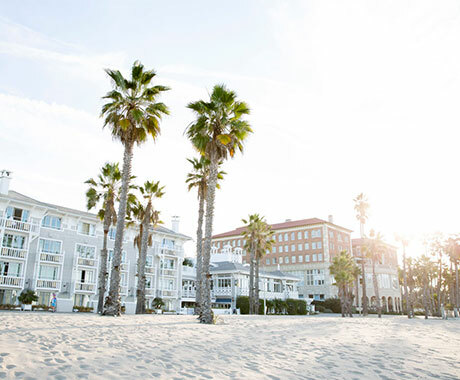 Award winners will be selected and honored annually, in partnership with Santa Monica Chamber of Commerce, with the Thelma Parks Tourism Spirit Award each May during the annual Santa Monica Travel & Tourism Summit. Click here to nominate them for the Thelma Parks Tourism Spirit Award! Now is your chance to celebrate hospitality employees who go above and beyond to make someone’s visit memorable. The property/business must be a member in good standing with the industry and City of Santa Monica and SMTT. Have all required permits and licenses required by the law. All submitted entries become property of the SMTT, and by submitting an entry, you irrevocably grant SMTT the right permission to edit, reproduce, publish, broadcast, and display the essay and any related materials submitted by you. By submitting an entry, you further represent the entry does not violate any copyright or right of publicity or privacy, and agree to defend and indemnify SMTT for any such claims brought against it. Nominee’s must be a graduate of the I Am Santa Monica Program. All chosen finalists/winners will be provided seating to attend the Santa Monica Travel & Tourism Summit each May and must agree to name and image in promotions. One (1) winner will be presented the Thelma Parks Tourism Spirit Award for ongoing hospitality and industry education and training. Recipient will be announced at the Travel & Tourism Summit each May. Nominations must be submitted at www.santamonica.com/spiritaward/nomination-form. Thank you for helping us celebrate the employees who create unforgettable experiences for our visitors in Santa Monica! If you have any questions regarding the Thelma Parks Tourism Spirit Award, please contact clientservices@santamonica.com or call 310-319-6263. Sponsored by Santa Monica Travel & Tourism & Santa Monica Chamber of Commerce.